I started this blog as a collection of my own thoughts on the way I see the things around us effected by moisture. Thinking about you, the reader, I’ve tried to introduce ideas about moisture that you may not have thought about yourself. Or, maybe you have been wondering about why certain things you see around you have happened, but not found a simple way of explaining them. A very common one I often described as an example is black mold in the corners of a room. Why in the corners and why does it grow there at all? What I’d like my blog to achieve is open up for you a fascinating world where you can see moisture involved in so many different things.Over the past few years I’ve taught myself about how moisture behaves. Very likely your understanding will be where I was at the beginning and not knowing any of the technical terms or their meaning. 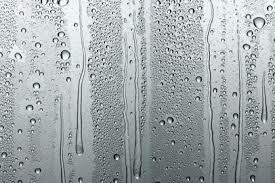 It sounds mad, but I worked using humidity as part of my job for many years without really understanding what it was! There you go, in that last sentence I’ve linked moisture with humidity. I hope in reading by blog posts you’ll come to know the difference and if you want to take it further, gain an understanding of these terms and their importance.